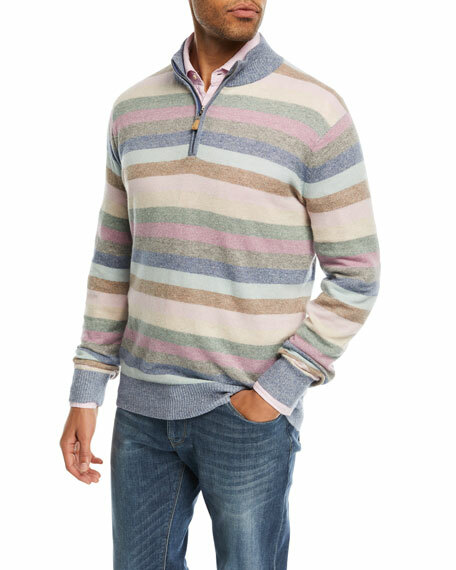 Peter Millar sweater in multicolor stripe print. Stand ribbed collar; quarter zip front. For in-store inquiries, use sku #2407795.